These earrings are 1 3/8" long and are made from real Daredevle Fishing Lures. The hooks have been trimmed and dulled for safety. 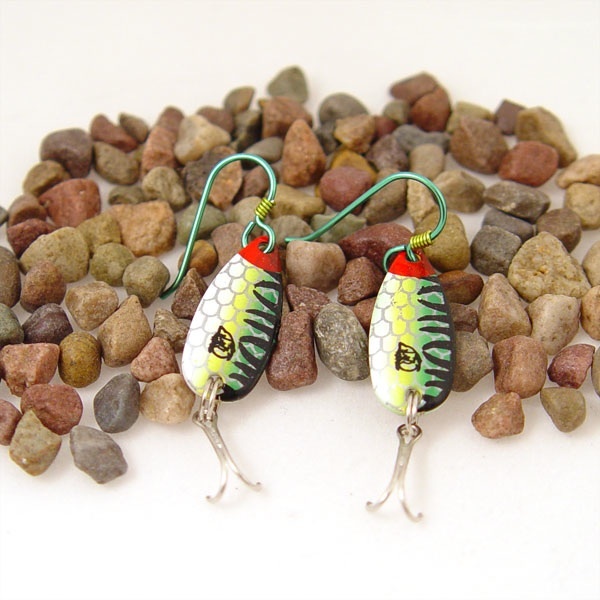 The ear wires are made from green Niobium and are non-allergenic.